Thesis: Primary Female Urethral Carcinoma. Jih-Sheng Chen et al. : J Urol R.O.C., 8:197-201,1997. Master degree of Health administration, Candidate of Dr. PH, Saint Louis University, MO, USA. 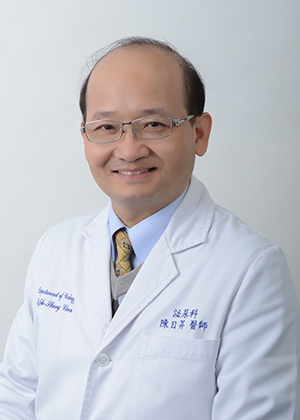 Chief of Urologic Department; Director of Surgical Department, Taiwan Adventist Hospital. Copyright © 2015 Taiwan Adventist Hospital All rights reserved.